If you are running a website where you would like to use one domain with multiple sub domains then multi site is for you.This powerful WordPress feature allows you to setup a master website and as many subdomains as you want. This can be used for affiliate marketing to get higher search engine rankings for different subjects/products or a member website so that you can start your people out with a basic website but they can modify it as they please with restriction setup by you. Your website will never reach good rankings without the optimization of your website pages. In order to optimize your service or product needs to have keyword research completed so that the content can be written for the best content that people are actually looking for. It is easy to place number one for an obscure word that no one is looking for but how does that help your business? At BNDreamMakers we take a look at your business and research the keywords hat apply to your business and then develop content that the search engines will rank you for. If you already have website content then it may just need to be optimized by using and proper placement of the keyword.If you are just starting out or need to add additional well written content then we can do the research needed to add optimized content to your website. Creating your content and optimizing your website pages all starts with knowing what keywords to optimize for. At BNDreamMakers we start with this research first and then develop your content to maximize your website presence. Once your website has been optimized you need to take your website visitor down the path that will either make them purchase or fill out a form or give you a call. A well designed lead capture page can do this. Without this in place your web site traffic will have been wasted. Setting up your website with the best keywords in order to get organic search engine rankings is definitely the best way to startup but in order to kick start your traffic and keep it going you will need a continuing strategy of online marketing. The following are just a few of the ways to do this and in reality all of them should be incorporated. 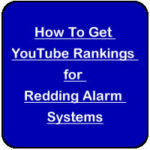 Video marketing is one of the best ways to get rankings fast. One of the easiest ways to start is by converting the content on your existing pages into videos.Since you already have the content you can get a lot of traffic by just using existing content into a video. $66 We take your existing content and make it into a video. This includes posting to your You Tube Account. Just like creating content for your web pages it is also necessary in creating videos to utilize the keyword research that has been previously done. All of your online efforts go back to creating a great list of keywords in the beginning. This key component will constantly be used in every faucet of your online efforts. 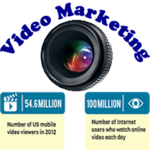 BNDreamMakers can create videos about your product or service utilizing specific keywords. It can get overwhelming to create content and create videos and then to distribute them to all of the appropriate social media channels.With WordPress you can utilize automatic posting to all of your social media outlets. This type of advertising is very effective but can be expensive. You are paying for each and every click and if your website does not have a good conversion then it is money wasted. Facebook ads are also a pay per click but they have more qualifying factors when displaying your ad. You can select the demographics of where to display your ad where other pay per click ads display depending on the search of the user. In my opinion this is one of the most under utilized forms of marketing. I have been involved with the network marketing industry for 20 years and if I learned anything I learned that a drip follow up system is critical for both short and long term sales. You may have someone look at your page and not buy anything but they sign up on your newsletter.You feed them information consistently so that when they are ready they will click on one of your newsletters and come back to you. A sale now or later is still a sale.In my research I have signed up on many newsletters and so many of them never send out anything so I always question why do they bother with a newsletter sign up form? 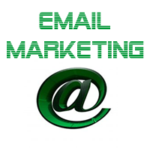 You must have an email campaign to continue to keep your pipeline full. BNDreamMakers can build your entire followup campaign in text and html to get the best response. BNDreamMakers can help you do most of the online tasks that you know you should be doing but probably don’t have time to do. I understand what it is to work within a very small budget so our services are priced to help small business grow. We have setup many shopping carts over the last 17 years and used many different types of cart software. We use and recommend PrestaShop and Woo Commerce. We use Woo Commerce if you have a smaller amount of products and want to sell them from your wordpress website. We use PrestaShop for larger installations. This does not include products. Call (916) 539-3407 or Inquire about Pricing for all of your services or products. Every website needs a variety of forms for different reasons. We can help you get these setup. Even though we do not write code we have managed several specialized projects for clients. One of the hardest parts of getting custom software built is finding the right programmer but also managing the project so that the intended result is achieved. We can find the programmer and manage your custom project.